Members of the Lagos State University Community today, Thursday 19th April, 2018, join the University Management to select and unveil the official Anthem of the University. Lyrics of The LASU Anthem. 1. There’s a citadel founded with great vision, where character and learning’s the mission. It’s a fountain for all who thirst for know-ledge. The human race go to fledge. Shine with your light out great citadel, in truth and service, in truth and service. Blase forth, shine, for humanity! To-ge-ther, lift high our ban-er. Join-ing hands, every thought to gar-ner. We are LASU and we are proud! So beguiled with nature like tendour. 3. We are blessed with culture and arts so great. And make do with wine botas. Those are the lyrics of the 3Stanza Official University Anthem chosen by Staff and Students of the Lagos State University through a voting process. The selection event, which took place Tuesday 19th April, 2018 at the University Auditorium, Main Campus, Ojo, climaxed the competitive process which saw tens of entries submitted and screened out to the point of arriving at the best three. 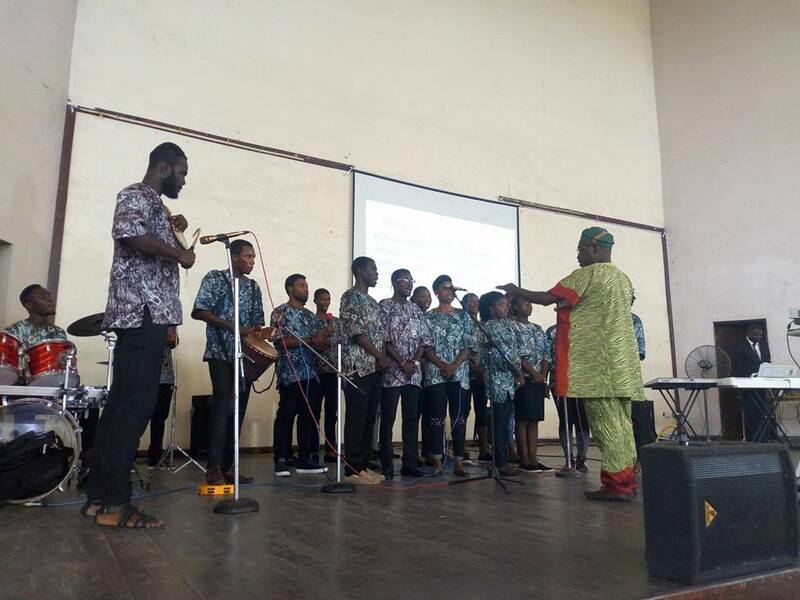 During the event, which was witnessed by the Vice Chancellor, Prof Lanre Fagbohun, alongside other senior members of the University, three groups performed the selected item in different versions. To select the best version, attendees, made up of staff and students of the University voted for their preferred entry and at the end, group C emerged winners. The University Anthem will now be performed at every of the University events, and through other channels.